32 Fully polished chrome vanadium steel spanners in plastic display storage rack. Heat treated and precision machined. All with 12 point pro drive ring ends. Fully polished CRV. Heat treated and precision machined. 10 metric sizes: 6, 7, 8, 9, 10, 12, 13, 15, 17, 19mm. 10 AF sizes (inch): 1/4, 5/16, 11/32, 3/8, 7/16, 1/2, 9/16, 5/8, 11/16, 3/4. 6 stubby metric sizes: 10, 11, 12, 13, 14, 15mm. 6 AF sizes (inch): 5/16, 3/8, 7/16, 1/2, 9/16, 5/8. 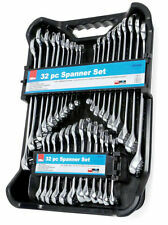 Brand: Hilka Pro Craft. .
Hilka 32pc Spanner Set. Full Polish finish. All finished with 12 point pro drive ring ends. Heat Treated and precision machined. All with 12 point pro drive ring ends. Heat treated and precision machined. 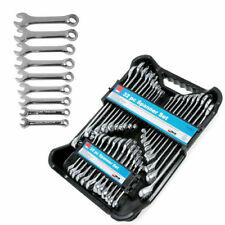 12 Piece Extra Long Combination Spanner Set. Lengths of each spanner Helping anyone out where we can. We also have a full range of spill protection products available such as full response kits to individual boxes of oil/chemical spill pads and absorbent booms (sausages). All with 12 point pro drive ring ends. 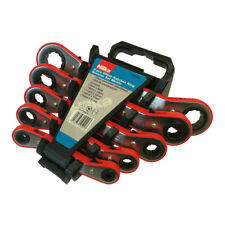 Hilka 5 pce S-Type Spanner Set. Helping anyone out where we can. We also have a full range of spill protection products available such as full response kits to individual boxes of oil/chemical spill pads and absorbent booms (sausages). Helping anyone out where we can. We also have a full range of spill protection products available such as full response kits to individual boxes of oil/chemical spill pads and absorbent booms (sausages). Heat treated and precision machined. All with 12 point pro drive ring ends. 12pc Stubby. 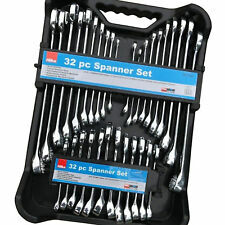 32pc spanner wrench set. Quality handle tool clip tray. Mirror polished. 20pc combination. Heat treated & Precision machined. Hilka Pro-Craft 10 Piece Stubby Short Spanner Set. Helping anyone out where we can. We also have a full range of spill protection products available such as full response kits to individual boxes of oil/chemical spill pads and absorbent booms (sausages). 5 obstruction sizes: 8 x 10, 11 x 13, 14 x 15, 17 x 19, 21 x 22mm. Helping anyone out where we can. We also have a full range of spill protection products available such as full response kits to individual boxes of oil/chemical spill pads and absorbent booms (sausages). Hilka Pro Craft 14pc Combination Spanner Set. Sizes: 6, 7, 8, 9, 10, 11, 12, 13, 14, 17, 19, 22, 24, 26mm. Mirror Polished. Heat treated and precision machines. 3/8" drive Hex Bit Set by Hilka 'Pro-Craft' in 7 separate sizes. Sizes: 3, 4, 5, 6, 7, 8, 10mm. Heat treated and precision machined. All with 12 point pro drive ring ends. If you are in a rush, this service might not be suitable for you. Shrink wrapped with colour labels. 12 point pro drive ring end. 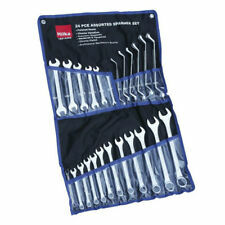 Hilka 24 piece spanner set new in box. 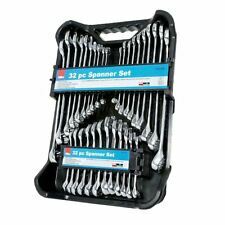 12 piece combination spanners with additional 6 piece stubby spanners included. Fully polished chrome vanadium steel spanners. Professional mechanics quality, heat treated and precision machined. Standard Sizes: 6, 7, 8, 9, 10, 11, 12, 13, 14, 15, 17, 19mm. Stubby Sizes: 8, 10, 12, 13, 14, 15mm. Brand: Hilka Pro-Craft. .
Heat treated and precision machined. Contains 20 combination sizes: 6, 7, 8, 9, 10, 11, 12, 13, 14, 15, 17, 19, 20, 21, 22, 24, 25, 27, 30, 32mm. 5 open ended sizes: 6 x 7, 8 x 9, 10 x 11, 12 x 13, 14 x 15mm. Heavy duty drop forged steel with polished jaws and raised panel. 1 YEAR WARRANTY. 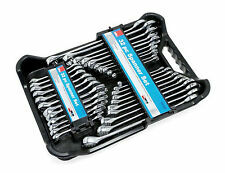 Hilka 8pc Box Spanner Set. Zinc plated sizes: 6 x 7, 8 x 9, 10 x 11, 12 x 13, 14 x 15, 16 x 17, 18 x 19, 20 x 22mm. Combination Spanner Set in Metric & AF sizes. 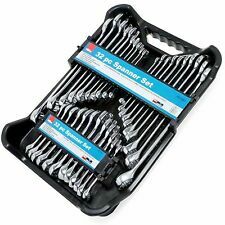 18 Hilka Spanners with carrier. 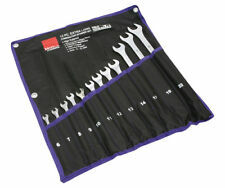 Professional mechanics quality 18 piece Metric and AF Spanner set by Hilka Pro-Craft. Fully polished chrome vanadium steel spanners, heat treated and precision machined. All with 12 point pro drive ring ends. Metric sizes (mm): 6, 8, 10, 11, 12, 13, 14, 17, 19. AF sizes (Inch): 1/4, 5/16, 3/8, 7/16, 1/2, 9/16, 5/8, 11/16, 3/4. Fully polished CRV. Heat treated. Precision machined. Brand: Hilka Pro-Craft. .
Sizes: 6, 7, 8, 9, 10, 11, 12, 13, 14, 15, 16, 17, 18, 19, 20, 21, 22, 23, 24, 25, 26, 27, 28, 30, 32mm. Shrink wrapped with colour labels. 12 point pro drive ring end. Width: 28 cm. Weight: 4.7kg. Hilka Pro Craft 11pc Combination Spanner Set. Sizes: 6, 7, 8, 9, 10, 11, 12, 13, 14, 17, 19mm. High Quality Fully polished chrome vanadium steel Stubby Spanners on plastic display storage rack. Just perfect for those limited spaces in and around engine bays. 10 Spanners in Metric Sizes:10, 11, 12, 13, 14, 15, 16, 17, 18, 19mm . Short Stubby Design. Precision Machined. Heat Treated. Chrome Plated Mirror Polished. 12 Point Flank Drive Ring Provides 25% more Torque. Brand: Hilka. . Brand: HilkaType: Combination WrenchSize: 5/16in. A combination spanner is double ended spanner with one end being an open-ended spanner. and the other end being a ring spanner. Combination Sizes AF : 1/4, 5/16, 11/32, 3/8, 7/16, 1/2, 9/16, 5/8, 11/16. Hilka, 50 pce Spanner Set Metric Pro Craft. 9-PIECE BALL END HEX KEY SET. Sizes 1.5, 2, 2.5, 3, 4, 5, 6, 8, 10mm. High quality professional tool. Hilka, 25 pce Combination Spanner Set Metric Pro Craft, 6mm - 32mm. 6 piece combination stubby spanner set. HILKA 22 pc Combination Spanner Set Crv Mirror AF Metric Wrench 6-19mm 1/4-7/8"
12 point pro drive ring end. Width: 25 cm. Weight: 2.25kg. Heavy duty drop forged steel with polished jaws and raised panel. If you are in a rush, this service might not be suitable for you. Part Number: 16700802. Item model number: 16700802. Colour: Silver. Set includes 8 ring spanners. Item Weight: 1.2 Kg. Product Details. 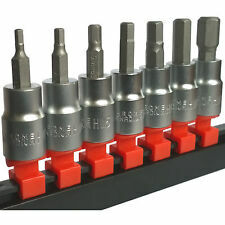 7-PIECE ALUMINIUM TORX SET. 7 piece Aluminium Torx / Star Key Set. Hole in the key end for use on security screws. High quality professional tool. Bargain price £7.99. Hilka Tools seem like they have been around since the invention of the wheel. Hilka Tools have now been established for just over 40 years now. Hilka Tools trusted in the trade. A combination spanner is double ended spanner with one end being an open-ended spanner, and the other end being a ring spanner. Hilka Pro Craft 11pc Combination Spanner Set - 12 Point Pro Drive Ring End. Dispatched with Royal Mail 2nd Class. Sizes: 10, 11, 12, 13, 14, 15, 16, 17, 18, 19mm with. Sizes: 6, 7, 8, 9, 10, 11, 12, 13, 14, 17, 19mm. Shrink wrapped with display sleeve. 12 point pro drive ring end. Depth: 27 cm. Width: 15 cm. Drop forged carbon steel spanners fully heat treated. Sizes: 8, 10, 12, 13, 14, 15, 17mm. Weight: 0.42kg. Height: 3 cm. 12 point PRO Drive ring ends. We stand behind our products. If there's a problem, just let us know and we fix it. Set includes 8 ring spanners. Weight - 1kg. Part Number - 016700802.